This is an excellent, all-in-one handbook for busy students and working professionals. Use it for active skill building or for quick sample reference. The 40 case studies are easy to read and directly applicable to real business situations. Instead of throwing all the samples at you and expecting you to pick up the rules of good writing by yourself, it helps you truly develop your skills. Each email model follows and guides you through the natural flow of logic, and serves a clear business purpose for maximum results. Uniquely, this brand-new handbook is tailor-made for the native speakers of Chinese: the authors have bilingual Chinese/English backgrounds, and use their Asian and Western know-how to deftly address their specific needs. 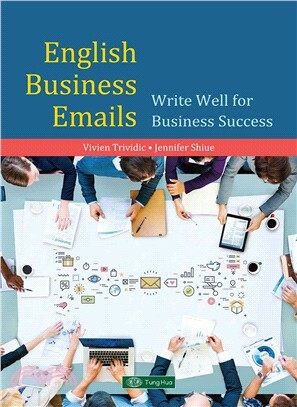 All chapters provide email samples, key structures, grammar tips, vocabulary sheets, exercises, and professional simulation scenarios where you get to create your own email in a new, ultra-realistic context. Vocabulary sheets come with example sentences as well as helpful notes on usage.